NDE’s are known to change lives, and they are helpful and comforting to those who want to believe that there is an afterlife. They are very inspirational experiences for everyone who has them. Thanks to modern medicine and technology, patients who are near death can be brought back, and many times they’ll share their experiences afterthe fact. 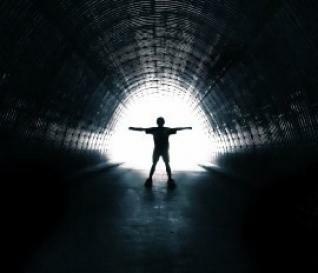 Those who have experienced near death experiences feel that it changed their lives forever. To have been so close to death and seen the other side must be very enlightening. NDE’s have happened to everyone of all different cultures. Christians, Jews, Muslims, New Age Spiritualists, Wiccans, and even Atheists have experienced near death experiences. Many of them have common themes: an experience of “floating” above and looking down over their own unresponsive bodies, a feeling of flying through a tunnel and seeing a bright light at the end, a feeling of peace and extreme joy, being able to meet with loved ones who have already passed on again, meeting with angels, spirits, and even gods, etc. For the most part, NDE’s seem to correlate with each individual’s own personal beliefs, thus making it seem that we find in the afterlife the things we believed in life. Unfortunately, there have been some nightmare-ish NDE’s, where people have experienced very frightening things, but they claimed to have been saved after praying for help. As many people who have experienced NDE’s, there are just as many people who haven’t. There is a large number of people who have been close to death and don’t remember a thing. Why is this? Could they really not have had one at all? Or did they really experience something but have forgotten it for whatever reason? We oftentimes don’t remember our dreams when we wake up in the morning, either. Skeptics will say that it’s because there is no afterlife, and they’ll claim that NDE’s are nothing more than illusions created as the brain dies off, or the medicine affecting the patient in a way that makes them delusional, etc. While nobody has all the answers, those who have had amazing NDE’s aren’t asking any. They know what they experienced, and they believe in it. NDE’s make such an impact on the lives of those who have them, that they need no other evidence other than what’s in their hearts. Is Planet X Really on Its Way Here?